JOHNNY & TAYA BACKSTAGE - Ohhhh sh*t. It's them being their excellent selves, and though Taya indicated to us that Johnny is already succumbing to what we know to be the addicting power of the Gauntlet of the Gods, and we saw his eyes glaze over with lightning after the gauntlet crackled. Of course, being these two, we got lines like "if tonight, for some reason I wound up being sacrificed to the gods, never to be seen again: just know I love you." After Johnny leaves, it is revealed that Taya has been keeping Ricky Mundo's possessed evil doll (which I guess is redundant because I can't think of even one example of a doll being possessed by a non-evil spirit) in her locker. The doll starts to talk to her, eventually telling her "you're the perfect woman... AND THE PERFECT HOST!" and then Taya got all shaky and we saw her eyes go black, and the screen cut to black as well. The first fall came just over two minutes in, when Fenix hit EDAJ with his finisher and pinned him clean right in the middle of the ring. When we returned from commercial for the start of the second fall, Striker casually mentioned that there are no DQs or count-outs in this match. WHAT? SINCE WHEN? That's not what Melissa Santos said when she was giving the official introductions a few minutes ago, or what any of the build-up said. WHY IS THIS HAPPENING?! 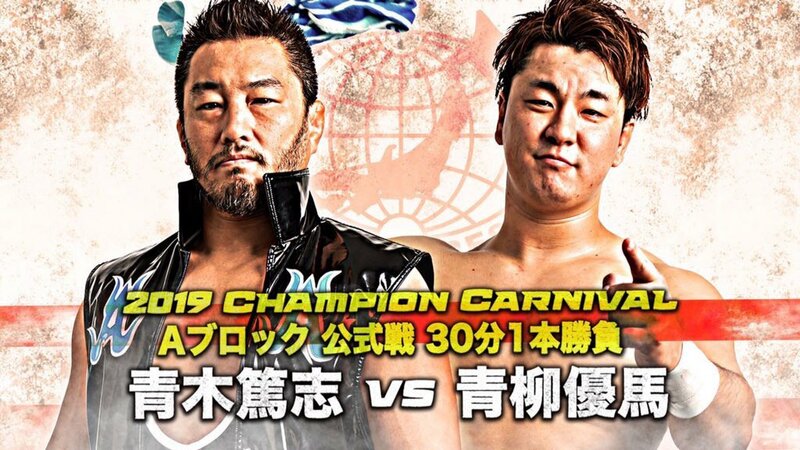 We've already got two plunder matches on this one show. 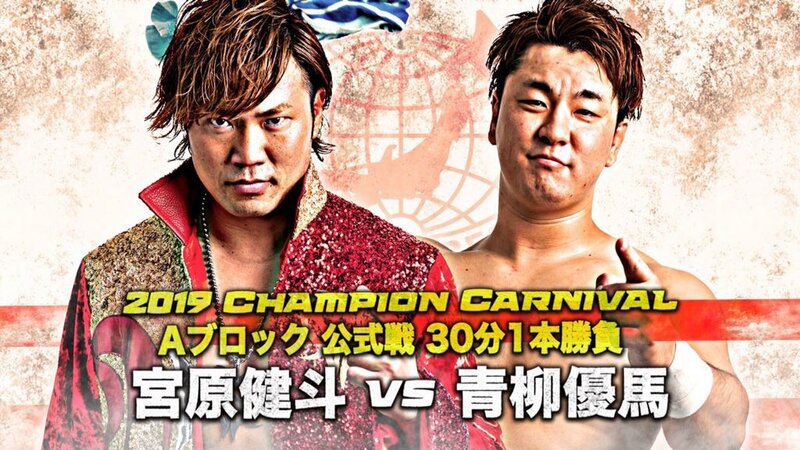 Could these two guys really not get through a match without hitting each other with gimmicks? Barely a minute into the second fall, El Dragon Azteca Jr. hit his finisher and pinned Fenix clean in the middle of the ring. What is the purpose of doing a 2 out of 3 falls gimmick if you're just going to rush through the first two? After the second fall, Mr. Cueto came out and randomly decided that the third fall should be Falls Count Anywhere. Because why the f*ck not? They kept going for a while and did some scary big spots. Despite this now being a Falls Count Anywhere Match, I think they only did one in attempt on the outside. The finish saw EDAJ about to hit Fenix with a chair but Melissa begged him not to because "it's not him!" in control of his actions and she thinks there is still good in him, etc. etc. This distraction deserved only to allow Fenix to hit EDAJ in the head with a chair instead, then hit his finisher and win. Melissa was then so distraught that she walked off rather than making the official announcement of Fenix's victory. These guys are great workers and they worked their asses off, but this was a frustrating finish for such a big spot, and over-gimmicking really bothered me. So they do this spot where Fenix goes for a Swanton Bomb off the top turnbuckle with El Dragon Azteca Jr. laying on a table on the outside, and I guess Fenix overshot a bit so he scores only a glancing blow and rolls off, and rather than breaking, the table gets flipped over, with EDAJ still on it and falling to the floor. Obviously their plan was for it to just break the table, but things don't always go as planned, and when that happens, you have to adjust. For example, a competent announcer would have responded to this by talking about how Fenix came off of the turnbuckle with so much force and he crushed EDAJ between his body and the solid wooden table, and hit him so hard that the table- with EDAJ still on it, capsized afterwards, throwing EDAJ to the floor. Unfortunately, instead of a competent announcer, Lucha Underground has Matt Striker, who, predictably, did the exact opposite. Mr. Striker decided that the best way to tell us all how much this hurt El Dragon Azteca Jr. would be to explain that "instead of having the table break- I know it sounds crazy- but sometimes, when the table breaks, it's actually a better fall for the wrestler on the bottom." His plan to sell this one bump was to EXPOSE TABLE BUMPS. HOW DOES MORON KEEP HIS JOB?! MR. CUETO MAKES AN ANNOUNCEMENT - Unfortunately, Melissa Santos has left the building... but worry not, everyone, for over the past few months, Mr. Cueto has been negotiating a "blockbuster deal" deal that was just finalized. Our guest ring announcer for the rest of the night will be Shaul Guerrero. I'll give Mr. Cueto the benefit of the doubt and guess that Shaul is being brought in to wrestle, and she's just stepping in to substitute for Melissa tonight because the necessity arose and she's being a team player. Otherwise, the idea of describing the signing of a ring announcer as a "blockbuster deal" is ridiculous to me. No offense to ring announcers; they play an important in the production of the show. But there is no ring announcer, no matter how talented or famous- not Howard Finkel nor Lilian Garcia or Bobby Cruise or Melissa Santos or Justin Roberts or anyone else you want to put out there- whom I would ever describe as being a "blockbuster" signing. DUELING RING ANNOUNCERS - Bad segment. Famous B immediately comes out and interrupts Shaul's introduction of The Mack, insisting to that he is the only person that the Believers want to see as a guest ring announcer. In his defense, she did f*ck up the first thing she did by forgetting to announce that this next match is a deathmatch. He was jerk to her for no reason other than so we would want to see her beat him up. But instead of her beating him up on her own, Uncle Chavo had to come out and help her. She did many of her father's signature spots, which resulted in the crowd all chanting for Eddie... which isn't the goal. The goal should be to get them to chant for her! This whole thing came off like a total waste of time (and it really did serve no purpose), and was made even worse for me by the fact that Famous B did nothing last week to avenge his humiliation at the hands of Sammy Guevara a few weeks back, but he did decide it was necessary to come out here because someone else was being given the chance to be the substitute ring announcer? Come on! They hit and stabbed each other with stuff for fifteen minutes, which we already saw them do in their Haunted House Match. Mil bled a lot. The Mack won, so he rolled Mill into a coffin Mil had brought to ringside. Striker kept insisting on referring to it as Mil's "final resting place" as though Mil were actually dead. The Mack then celebrated with "Mack-weisers" just in case anyone watching might have thought he was cool and not just trying to piggyback off the popularity of a guy who retired fifteen years ago. I love how The Mack's version of a "tribute" to his favorite wrestler is to kill the guy's finish and then rip off his celebration. Matanza showed up in an "ancient sacrificial headdress," which looked really cool. When Mr. Cueto saw Johnny with the Gauntlet of the Gods, he freaked out a bit and cut a promo on Johnny. Doesn't a big honkin' metal glove that also shoots lighting count as a weapon and therefore Johnny should have to take it off? 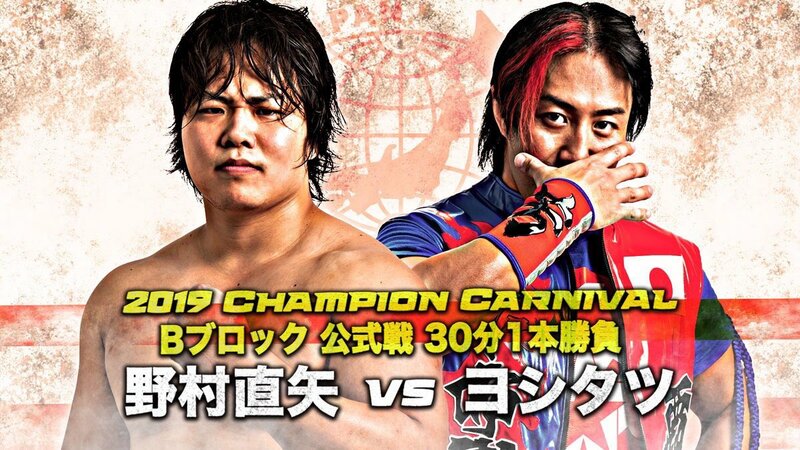 This was, in some ways, more of a segment than a match, and rating it as a match almost feels wrong due to the challenges they had to overcome (and how wonderfully they overcame them), but at the same time, the fact of the matter is that it was a match, and was one that got a pretty decent amount of time, but I feel compelled to really rate it as a match. I think I said this before when Cage had it, but the big logistical challenge with the Gauntlet of the Gods (and with some of the other magical stuff, like the sacrifices) is that what they do with it in the pre-taped segments is hampered by the restrictions of being in front of a live crowd. For example, you would expect something uber-cool for the sacrifices, with, like the soul of the sacrificed wrestler leaving his/her body and being sucked into Matanza or something like that, but there is no good way to do that and be able to show it to your live audience because the technology doesn't exist yet (or if it does, it's probably WAY out of LU's price range). In the case of the Gauntlet of the Gods, you would expect it to be crackling with lightning all the time based on what we've seen in backstage segments, but they can't do that, creating a problem of making the gauntlet really just look like a regular gauntlet when clearly it is supposed to be much more. To overcome this challenge, Johnny and Matanza put together a match that was structured around showing us all how important the Gauntlet of the Gods was, and making its power known to us using basic storytelling psychology. When Johnny had the gauntlet, Johnny was winning; when he didn't, Matanza was winning, and Johnny was trying to get it. And just to make it extra clear, they included spots like Johnny seemingly be able to recover quickly from getting powerbombed THROUGH A ROOF because he had the gauntlet on. He even became the first person in LU history to kick out of Wrath of the Gods. At the end of this match, Matanza was much more defeated than we had ever seen him before. Yes, they were on the outside forever and should have been counted out, but in a sense that doesn't matter here because this really wasn't a sporting contest. The goal here was the fight: can Johnny defeat Matanza and prevent himself from being sacrificed? The outcome really isn't affected by pinfalls and such. The pinfall at the end was extra icing on the cake, but what really mattered was that Johnny had put Matanza down and ended the fight. JOHNNY MUNDO & AEROSTAR BACKSTAGE - Good. Johnny is looking for Taya. AeroStar implores him to take the Gauntlet of the Gods off, lest Johnny become possessed by a god. After some convincing, Johnny does so, but they did a good job of keeping you hanging on and thinking he wouldn't until the very end. Johnny takes the gauntlet off and gives it back to AeroStar. Less than two minutes in, and Marty was already bleeding like Mutoh against Hase. They had a match that would have made John Zandig proud, but personally I don't see much appeal. Lots of blood and stabbing going through glass and more stabbing and rusty, jagged trash can edges. Pentagon Dark won the title back. POST-MATCH SEGMENT - A total mess. Pentagon Dark tried to break Marty's arm but Reklusa ran in to make the save. Where was she during the title match? And don't give me any sort of "she didn't want to ruin the main event" BS because she has had no qualms about interfering in main event title matches before. Vampiro chased her off and then presented Pentagon Dark with his newly-won championship belt, only to then kick him in the nuts. Pentagon Dark shook this off astonishingly quickly and just kicked Vamp in the nuts in return... and yet Vamp was winning a strike exchange about five seconds later. Pentagon Dark got the advantage again but a masked individual came out and laid Pentagon out with a chair. The person (98% sure the person is male at this point but not totally certain) took off the mask he/she was wearing to reveal... the same mask but with a black skull instead of a white one. That was kind of pointless then, wasn't it? Vampiro tells Pentagon Dark that this person is his master- the secret, shadowy figure we've seen Vamp talking with about causing Pentagon Dark's downfall. But rather than give us a name, the dude (I'm assuming master indicates that this person is a male) hit Pentagon Dark with some high-flying flips. Pentagon Dark(c) vs. Jake Strong - no rating, bad segment. Strong won. I think the idea here was that Pentagon Dark passed out because I never saw him tap, but I don't think the announcers ever specified. 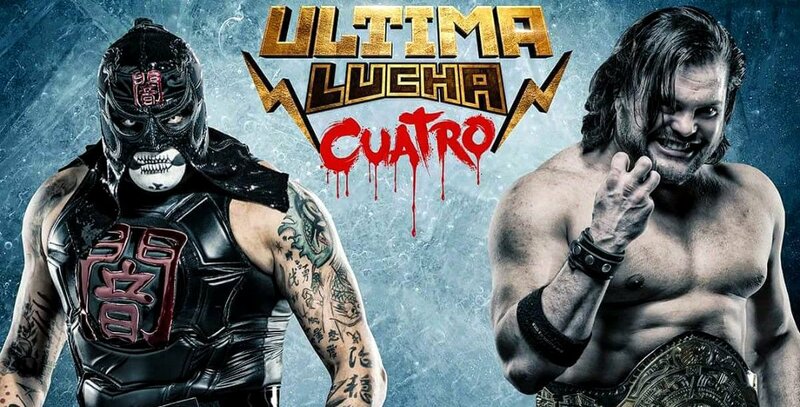 You could argue that the idea here was an artistic mirroring of last season's finale, when Vampiro worked with Prince Puma to put him in a vulnerable position so that Pentagon Dark could cash in on him and win the Lucha Underground title and now at the end of this season, he has done the same to Pentagon Dark himself, but I don't think this works because we haven't had any indication that Vamp and Pentagon Dark were working together (meaning there really wasn't a set-up so much as just an opportunity), and we have had no indication that Vamp, his master, and Jake Strong were working together, either (though that doesn't mean it isn't possible). Also, the fact that this is the second time they have done "Pentagon Dark wrestles a brutal no DQs match and then gets cashed in on right away to lose the title" in just six weeks makes it feel a lot more like they're really just out of ideas. Throw in the fact that this behavior is completely out of character for Strong, and this was not good at all. And now... the moment I have been waiting for all season... THE SEASON-ENDING MONTAGE! - AeroStar, King Cuerno, and El Dragon Azteca Jr. have a strategy meeting in a hallway. 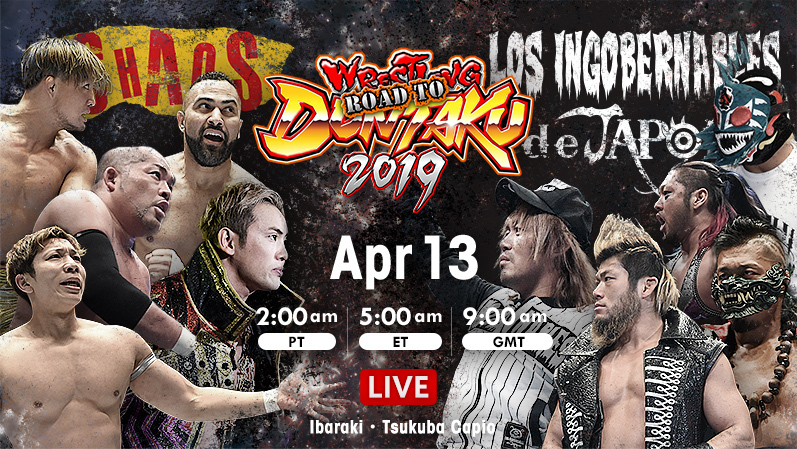 King Cuerno argues that the Gauntlet of the Gods is too dangerous and must go back into hiding, but El Dragon Azteca Jr. says that their best chance for victory is to strike now, while the gods are weak. AeroStar agrees with EDAJ, giving him the gauntlet, but telling him to "make it quick." This whole time it seems like they're being watched through an air duct above them. It might have just been a camera angle they chose to make this look cool, but King Cuerno finds some sort of residue or dust on a grate they were standing above and appears suspicious. - Black Lotus is back! FINALLY! She confronts Matanza in a hallway and tells him that she now knows that El Dragon Azteca did not kill her parents, but rather that it was Matanza who did so, and thus she is here to kill him. And she has the Gauntlet of the Gods! She punches him a bunch and there is a bunch of lighting, and high eyes flash with the lightning, and when she is done, the gauntlet is covered in blood and MATANZA HAS FALLEN. And then Jake Strong shows up and beats the crap out of El Dragon Azteca Jr.! He tells EDAJ that "that doesn't belong to you," and snaps EDAJ's ankle. Then he picks up the Gauntlet of the Gods and declares that "it belongs to US!" Then he does his salute but striking his chest with the gauntlet instead of his fist, with Matanza's blood now leaving marks on his shirt. - Johnny Mundo finds Taya in the locker room. She is staring at herself in the mirrr with a blank expression on her face. He is all Johnny Mundo, telling her that he got revenge for them and suggests that they finally go on their honeymoon. She turns around and tells him "Sorry, Johnny. I'm not your wife," and then starts to choke him with seemingly superhuman strength. She slams him into some lockers as we hear the doll's creepy laugh in the background, and Taya declares "I am a god!" - Agent Winter is in the limo with Mr. Cueto and Vampiro's master. He tells them that "everything is coming together, just as prophesized. The ascension is complete." Mr. Cueto asks if "all of gods have taken human form?" and Agent Winter affirms this as well as saying that "the Lucha Underground Championship is back in our control." Vampiro's master- speaking in a VERY possessed voice, said something I had a lot of trouble understanding. The end of his sentence was "all seven tribes," but I couldn't make out the first few words. We then saw a shadowy figure in the limo with them smoking a cigar. Then Jake Strong entered the limo, with both the Lucha Underground Championship and the Gauntlet of the Gods. Agent Winter asks him "whose blood?" (is on the gauntlet and his shirt) and he tells them it's Matanza's. Mr. Cueto is saddened by this news, but a voice tells him that "your son was a worthy host... and The Order will never forget his sacrifice." The voice- the Cigar Smoking Man's- said that part in Spanish, but then, in English, told them "but now we must find a new host. So... anyone else have any bad news?" Yes, really. That's not me making a joke. It really was Stu Bennett. No one else volunteers any bad news, so Wade smiles and says "then I guess it's time to take over the world." I greatly anyone who gets the chance to recite that line. That has to be an actor's dream come true. - We are back at Dario Cueto's funeral, zoomed in on the key around his neck. We once again see Mr. Cueto take it and walk off. Then we see AeroStar appear, with the now-whole pendant of eternal life (he's a time-traveler, remember? ), and use it to revive Dario! I liked that this montage was a lot more limited and linear that what we have gotten in past years, and it does make sense as a way to show everything coming together. In the ring, this was another disappointing Ultima Lucha, but this season ending montage has given me the strength to hold on for another year, simply because it seems to promise not just more of what drew me to the show in the first place (and what I feel has been woefully absent this year), but that a conclusion will be coming. I have been very critical for most of season four about both a decline in the quality of the wrestling and the storytelling, and I think those criticisms still stand. Yes, now that the season is over we can see how some of the pieces they were moving around during this season did have to be moved in the ways they were to get to where they needed to be, but I still feel that 1) they still spent too much time focusing on things that don't feel as important (the Ivelisse, X.O. 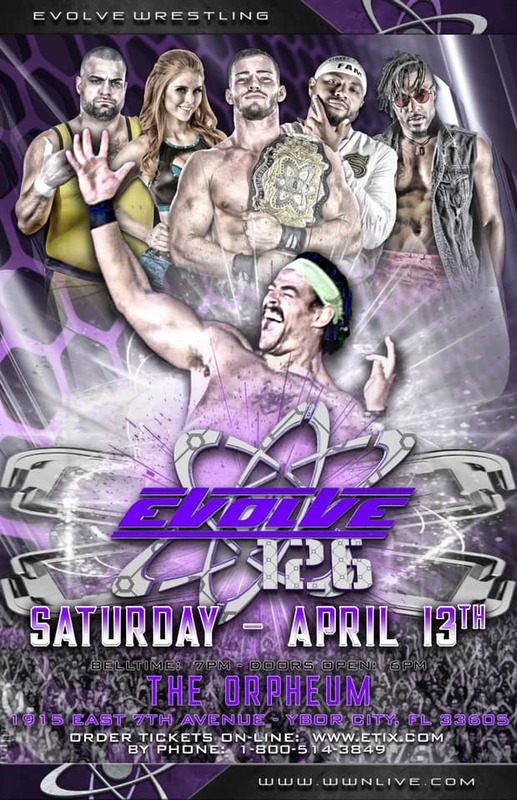 Lishus, & Joey Ryan team seemed to exist just to give the characters something to do, and Sammy Guevara as not served any meaningful purpose as of yet, nor has one even been hinted at for him, Brian Cage served no purpose, and Mil Muertes vs. The Mack went too long and got too much focus when you consider that we have not yet seen ANY real follow-up with Mil after Catrina left him and he killed her for it), and 2) aside from the stuff involving the Worldwide Underground, AeroStar, or the Rabbit Tribe, they didn't move those pieces around in a very Lucha Underground way (a lot of the stuff with Son of Havoc and Killshot that I talked about last week, for example, or even just a lack of checking in with characters whose actions should have demanded follow-up, whether from the year before, like Black Lotus' actions at Ultima Lucha III, or stuff this year, like Chavo's reinstatement, or the idea that Vampiro is secretly manipulating Pentagon Dark... oh and where the f*ck is Rey Mysterio Jr.? Was he sacrificed? Is he still a captive of The Order? We don't know). I think when the entire tapestry is woven and revealed to us, that season four will stand out as a weak link, with a lot of stuff that could have gotten the characters to the same places, but in a much better way. 3. Matt Striker- "Many people feel that lefties are sinister." Not for the past hundred years or so, and even then it was mostly Catholic nuns. But of course this simple fact won't stop Matt Striker from showing off the fact that he knows a word in another language. Because, to Matt Striker, it's not about the two guys in the ring STABBING EACH OTHER IN THE HEAD; it's about him calmly showing off his vocabulary. 4. Matt Striker- "You know, time is a funny thing. It keeps going and going and going and stops for no one." Striker said this in the middle of a deathmatch, and with no discernible prompting from anyone or anything that would make such a thought even enter his head.